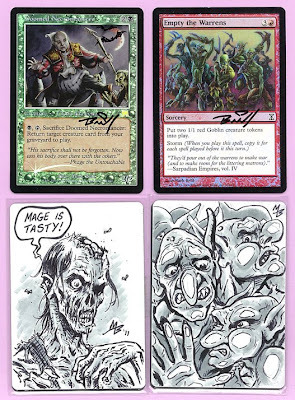 These are sketches done on the backs of Magic: The Gathering cards. they have blank backs because they are rare artist's proofs that they send to the artists when the cards are published. 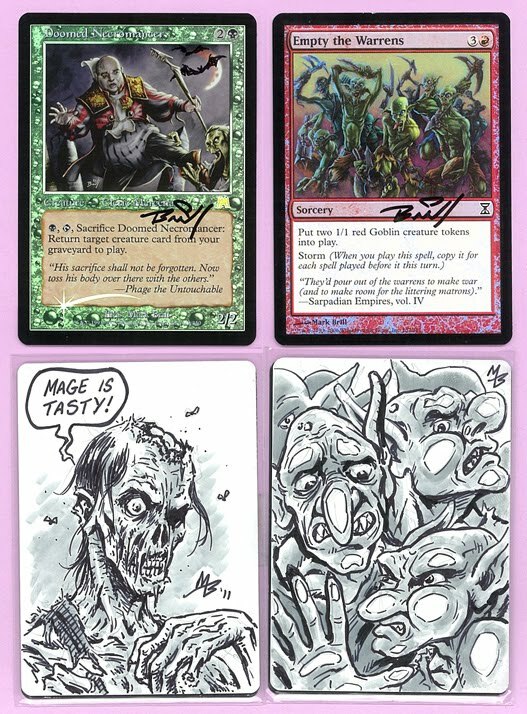 The card shown above each sketch shows which card I drew the sketch on the back of. I usually try to relate the sketch to the design on the front of the card. Anyway, these were done for a Magic fan from Italy! She has waited overly long for them because I lost the package she sent me. Thanks for being patient, Andrea! !